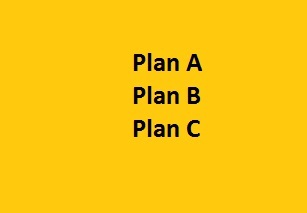 “Planning is everything” is the most misunderstood suggestion that I had ever heard . It is not false but it is not completely true either . It is just half true ,not long ago I used to over analyse things , and tried to maintain a lot of small notebooks for planning each and everything , I used to write everything that I had to do the next day,the next month , the next year, what to study , what not to study,what to eat , what not to eat ,etc in extreme detail and finally ended up doing only the trivial things instead of the most important works , in other words I was unable to cope with the dynamic challenges that were getting generated which I could not include in my plan. Planning is important ,in fact it is very important , but I believe in dynamic planning (instead of the traditional static planning) and it helped me become more productive and responsive to situations out of my control . The main disadvantage of too-much-detailed planning is that there would be many external circumstances that can make you feel as if your main plan is not getting executed. Suppose you planned to study for 12 hrs the next Sunday and you get excited about the idea and try to allocate the timings in the following way : 6 am to 8 am – study , 8 am to 8.30 am – Rest, 8.30 am to 9 am – breakfast , again 9 am to 12 am study and so on . Saturday night you set an alarm for morning 6 am , you get up at 6 am and started studying ( you get a feeling that everything is going according to the plan) , when it gets 6.30 am your friends call you and order you to come to play badminton and after that guilty filled session of badminton , your mom asks you to bring eggs and milk from the local grocery store and after a few hours of poor execution & nothing going according to the plan you get dejected and loose the enthusiasm to proceed further . Of course this is a simple and harmless example but the principle is same for some life changing decisions involving serious planning. On parallel lines, With static planning you are in complete discord with the external changes and it is akin to rowing a boat upstream. Another major disadvantage associated with over-detailed planning is that you get a feeling that you already completed the tasks and tend to procrastinate more . This is particularly in the case of study plans and anything that involves mental efforts. So from the next time whenever you wish to accomplish something , have a simple and clear overview plan with vague details and get into execution with dynamism ! !